Due to competition and over supply of units, 2 scenario lang yan. Either magbabaan ang rental prices or hindi na ako makahanap ng tenant at all kase by that time, mas luma na yong unit ko compare sa mga bago. But then, kung dumating yong time na yon, na recover ko na yung malaking part ng investment ko. Ang worry ko ngayon, papano na lang yong mga OFW na kumuha ng mga bagong unit believing it’s a good investment decision? Makakita rin kaya sila ng tenant along the way to at least break even man lang yong mga monthly at yearly expenses ng condo. As you can see, my location is perfect. Wala akong mali dito. It’s a prime location ika nga. Kaya lang, hindi ko na anticipate ang future. Hindi ko inasahan na in future, maraming magsusulputang units around the area. Sino nga namang makakaalam nito? Baka kahit agent mo hindi ka masagot. So, having a good location is not a guarantee na magandang investment ang nakuha mo. Given the fact sa Pilipinas, kung nakitang maganda ang negosyo ng isa, kukumpetensyahin agad till such time all business suffers. Remember the internet cafe boom? Halos lahat ata ng kanto noon sa Cebu meron till dumating ang time isa isa na silang nagsara due to over supply. It’s already late for me to realize these mistakes during that time. But then, it turns out to be one of the best investment deal that I have. I do not discourage anyone to buy condominium, but at least have the knowledge to become financially literate first before deciding to get one. Kung ang nais mo ay mag invest, there are lots of ways to invest your money na hindi kelangangan na real estate agad: mutual funds, UITF, stocks, etc. I love real estate investment and I’m still looking for one. But for now, pass muna siguro ako sa condo. There are other real estate investments naman na pwede pasukin like condotel, apartment, rental houses, farm, etc. I just need to get the best that suits my financial means and objectives. May this serve as a guide sa mga new buyers. Again, this is my story with a twist of some friendly advice. It doesn’t mean that you’ll have same story as mine. I wrote base on my experience. I do not blame my agent, I blame myself for not having the right financial knowledge before investing. If you have other condo stories, feel free to share as well. If you are in Singapore, join us in our regular Financial Literacy talk and seminar to be guided financially. UNLIKE other groups, we do not sell you condos or offer you to join MLM groups. Our group TGFI’s mission is to spread financial literacy to all Filipinos… Hope to see you on our next event! I’m a real estate agent myself. Based on what I’ve read, It was either your agent was terrible or there was a miscommunication between you two. Having a good relationship with our clients is the most important. Therefore, our main goal is to serve you the best way possible. Great agents will always disclose all details to a client before closing a sale. He will always take into consideration that a smooth deal will lead to a possible repeat buy or referrals. As for the “May enough na pera ba sila? Kaya ba nilang bayaran yong unit in few years? Stable ba yong trabaho nila?” It is not the agent’s responsibility, but the buyers. Agents have no idea of how much money you have, but you do. So you should know better. Plain and simple, if you don’t think you’re not stable enough for an investment like this, don’t do it. Our job is to entertain you when you inquire. But it is your responsibility to know whether you have enough money for it. As for the location, when you purchase a unit in a prime location. Expect changes. Change is inevitable. It’s a competitive market. Prime location or not, it’s just the same. It’s an investment. It’s a business. There will always be risks. And you should always be ready for it. Sometimes, you will sell like hotcakes. But sometimes, it’s the opposite. That happens not just in real estate, but also in other kinds of businesses. Restaurants for instance. As a real estate agent as well I had to agree with what Chase said. On the other hand, I do believe everyone is financially literate on their own. It is but the buyer’s responsibilty and right to demand for a sample contract/agreement before they hand any reservation fee to the sales agent. Great agents will not force you on the first meeting to buy the unit, it is always dependent on the buyer’s decision. I am also curious on the later part of your blog. If you are sharing your experience why then advertise or invite us for a “Literacy Talk”? I have attended seminars of great motivational speakers and yours on my own opinion, after reading and re-reading your blog you are inviting them not to trust other people other than you. Anyway, I’d also like to point out another mistake on this post. It’s NOT in the law that developers have a 6-month leeway for turning over their projects. Perhaps this post could have used a little research before it was published. Simply stating here what your agent said without introducing what is actually written in the law, makes it seem like your agent was actually right when he told you that. FWIW, you actually don’t have to wait 6 months after their deadline before you can file a complaint against your developer. If you read P.D. 957, you’ll find that you can even demand for a full refund if your developer doesn’t deliver your unit on time. 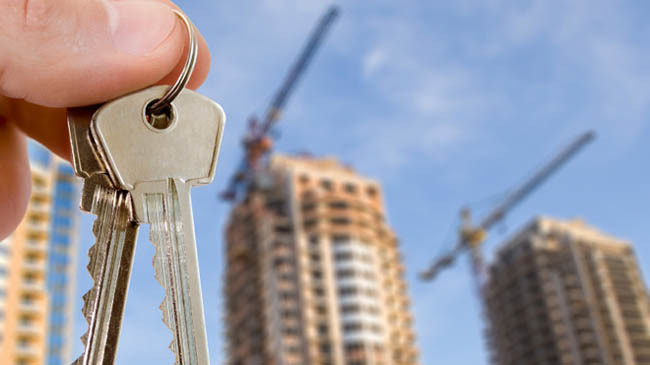 The authoritative information for this “deadline” is that which you will find in the developer’s “License to Sell” for that specific project. And you can call HLURB to get this information. I’m this confident to tell you about it because I’ve actually done it myself. I couldn’t wait for my condo unit to be delivered by my developer way past their deadline. So I filed a complaint against them with HLURB. I demanded for full refund of all my payments, and I got it. It took a long time (more than 1 yr), but I got what I demanded for. They initially insisted that by law, I am only entitled to 50% refund if I wanted to withdraw from my purchase. But a little online research took me as far as getting all of my money back. See, research is important and telltales can be misleading and potentially dangerous. secondly, sabi ko nga, i am financially illiterate during those times. inamin ko naman, di naman ako nagmayabang na expert ako nung time na yon. i may have written something as you said, but i put DAW words due to my uncertainty also. di ko naman sinabi na this is fact. Mr Nimrod, I am in the same situation right now, wherein the delivery date of the project is virtually unknown now. Do you think I need a lawyer to handle the refund process? or bringing the case to HLURB would be enough? I am base in SG now and its a challenge for us be in PH to follow-up. This has been an old post thread but I hope i can get in touch with you to get more details. Thanks! hi mya….yes, may mortgage kang babayaran unless fully paid ka na sa unit mo. all this is true… to be safe, don’t just trust an agent. if you know a licensed real estate broker, i suggest you speak with one or put your trust in one. also, as long as the building is taken care of by the admin, it’s okay even if there are new condos around the area. ultimately, you can live in it, or sell it off. hi jon…as you can see, even if i have some mistakes and shortcomings on this deal, this turned out to be a great deal for me. the unit is giving me passive income every month, a true investment. but the one i didn’t anticipate is the competition in the future. i believe even the best agent won’t know that. so it’s a risk for all buyers…. The blog’s tone is very nega and then i will see on the comments box na great investment naman pala and you are getting a passive income. No one knows what will happen in the future. Sino magsasabi na ang talahiban na The Fort before is now a CBD diba. I dont think baba basta ang renta dahil may tutubo na ibang building. Consider yung advantage ng building mo. Location, amenities etc. indi yan baba agad kasi may inflation pa. And na consider mo ba na lumaki pa ang population ng student sa area na kaya na magbayad ng renta sa condo kaysa sa dirty unsafe na binabahang apartments? Maybe economy will be better in the next few years so more parents kaya na magsend sa private schools and magbayad ng condo rent? What do you think? Tama ang mageducate as long as may kasamang encouragement. Investing is still better kaysa splurge ng mga ofw hard earned money nila sa shopping. No im not an agent. Investor din ako, ofw and i also like real estate just like you. Iba iba nga lang ng risk appetite. Thank you for this informative article, madami akong naalala 🙁 . Pero kagaya ng kwento mo sa huli ko na din nalaman ung ibang charges. Naturnover na yung unit ko ng Feb 2014, ang pinakamalaking additional charge na i need to pay or add sa loan ay ang additional area(from 28sqm na naging 30sqm) unfortunately nasa pinirmahan kong policy. Pero hindi ko na din sinukat nung turn over kung nadagdagan talga. Kagaya mo din isa din akong OFW, nagpaleasing ako dahil required ng Property Management for 2years. Pero hangang ngayon hindi pa din napapupahan ang aking unit 🙁 mahirap minsan ko pa nakita ang aking unit. Sana mabigyan mo pa ako ng advice kung ano itatanong sa leasing and guide para marentahan agad ang aking unit. hi roland. this is exactly why i posted this blog to give advice and warnings on OFW’s considering condo as first investment. i know there are lots of unethical agents na hindi man lang na-consider yong financial status ng pagbibilhang OFW. and since hindi rin naman financially literate si OFW, napapaniwala agad na it’s a good investment at madaling mapaupahan. anyway, add me in facebook….we can check your current investment, baka may maitulong ako…. very enlightening article. some (most!) of those agents are indeed hard-core-hard-sellers. im just curious… kung sa passive income na around 12k (hope my computation is correct) minus annual fees (insurance and taxes), ilang years mo bago mabawi yung DP at iba pang mga binayaran mo? hi boy..medyo matagal talaga bago mabawi ang returns. lalo na may mortgage ka pang binabayaran ang nag a-accumulate ng interest. if i will have the money, babayaran ko sya ng buo para wala ng interest na babayaran. i cannot answer kung kelan ko mababawi ang total investments ko, due to competition in future. kaya affected yung future income ko rin…but i’m hoping na makakakita pa rin ako ng tenant despite of the competition. Bakit hindi po ba fix ang interest ng loan nyo? Variable po ba sya? I bought a condo unit in front of NAIA 3 in 2007 for 2.7M at the time that the area is not yet fully developed. At turn-over in 2012 (yes, delayed for about a year), I must say you are correct because there are lost of charges prior to turn-over. I’m quite surprised, however, of the charges you quoted because it is a bit high. Mine is about 100K including transfer taxes. I was not asked to pay any RPT for the unit and the common area for that year because the property was not yet transferred to my name (one of the reasons is that it is still not subdivided), the joining fee for association, the building insurance (except mortgage insurance and fire insurance since I availed a loan for it), and advance association dues. My MERALCO deposit is P 10,000 only which you can pass-on if you sell it. I was not charged for the MWSS. I spend about 500K for the renovation, excluding furniture etc. I must say it is a good investment because it is now selling at 3.8M-4M. If you are planning to rent it out, you can’t obviously have ROI for the next 10 years but the good news here is that real estate properties seldom depreciates in value. I think you have to view the so-called investment as some sort of forced savings because had you not paid it, you will not be able to save the total amount you paid. Lastly, though my agent did not specify the charges at the time of turn-over (which is 5 years after), I can fairly say that she is quite impressive because to this date, if i need something or still have some questions, she gladly accommodates. thanks jane 🙂 it’s good that you are also investing in real estate. is it a rental property now or tinitirhan mo? I believe the post is about reminding future real estate buyers to be a bit more cautious and at least to be more informed about the ins & outs of real estate investments by OFWs. I see no hint of any discrimination towards real estate agents & the likes. On the other hand, honest agents, I know a few, who’s paramount goal is to serve their clients well. Deals made should be mutually beneficial to both parties. That should be the norm. But whether we admit it or not, and lets not be defensive about it, there are those who’s priority is to prey on unsuspecting OFW just to earn a bigger paycheck. But here’s a common ground for the readers, I admit the writer is quite subjective about his post but that does’nt mean we should not be objective about it right? Tama itong pinost nyo sir Richard, di naman sa nilalahat ko ang mga agents but they just need their commision. Minus sa kanila kapag nalaman mong madami ka pang dapat bayaran monthly so why say it kung di mo nga naman tinatanong di ba? Tama din itong post nyo dahil karamihan sa atin sa Pinas akala pag nabili mo na ang bahay ayos ka na, wala ka ng gastos. Actually parang mas madami ka pang gastos kapag nakabili ka ng bahay dahil sa mga monthly due. Parang mas ok pa mag renta dahil sure ka yun lang ang amount na babayaran mo (rental fee). salamat sir ernie sa pagbasa nyo. i hope maging reference ito sa mga first time buyer ng condo thinking it’s a good deal for them. para ma-realize din nila ang value ng financial literacy. i am not advocating na wag kayo bumili ng condo, my point is aralin lamang at siguraduhing may sapat na salapi at kaalaman. Ang isa pa na dapat i-consider is this. Maari hindi mag agree ang iba sa sasabihin ko. Wag kukuha ng property (na hulugan) at sa potential tenants pala aasa completely ang buyer upang mabayaran ang utang na pinambili sa property. Ibig ko sabihin- kung wala kang makuha na mag re-rent sa property, dapat ay kaya mong bayaran on your own ang property. Kung umaasa ka completely sa tenants- parang namumuhay ka rin on a month to month basis- kinakabahan sa situation ng rental business na maaring gumuho pag mawalan ka ng tenant for several months. Ito ang isang dahilan or factor rin sa housing collapse sa America. Bumili ng bumili ng bahay ang maraming Amerikano- with the intention of renting it out at yung rental money ang pambabayad sa utang. Isa itong dahilan kung bakit gumuho ang housing industry dahil- walang kakayahan ang maraming umutang na bayaran ang properties noong bumagsak ang demand sa houses for rent. i been working @ eral estate industry.. 5 year’s but im not a agent.. an I.T. hmmm yes it’s true some agent’s just want to sell and sell they do forget that may mga payment pa after that.. like that one you’ve mentioned due’s ect.. mas maigi pa nga ang house and lot. you can still have it for rent… mas conti ang bayarin. in the long run. mas tumataas ang value unlike sa condo. after turnover yes good price. but a couple of years.. pababa na. lalo na kung ang developer hindi marunong mag alaga ng building nila. i definitely agree with your post sir. Next time bumili sa kilala and trusted developer. If your budget is 2M-2.7M only…. I suggest you not to buy condo kase cheap developer lang mabibilhan mo. Sir Richard, ask ko lang po if SMDC ang developer ng condo unit ? Sir Good Read po ito, since bumili din ako ng condo pero nasa pinas pa ako nun..napilitang mag SG para may pambayad sa mga surprise payments. naranasan ko halos lahat po ito..
yun din po ang worry ko, na marami ring OFW ang kumuha rin ng walang sapat na kaalamang financial. anyway, let’s continue learning from our mistakes na lang po and share with others the knowledge that we gained. Upon reading the blog, it’s all about investments and there’s a lot of them available especially for OFW who has the capacity to invest due to a higher surplus money or shall we say savings. Reality check, there are lots of undesirable agent right now in the industry but not ALL. I’ve known good and bad agents in real estate industry because I’m also in the real estate. As per experience, either a Real Estate Broker or Agent doesn’t guarantee that he could a good one. Bottom line, it is the person you are dealing too not the designation. For the investment transaction, it is a two-way street: seller (agent) has a responsibility to know and the client’s needs not his and the seller (client) who evaluated & plan his investments. Every investments has risk. Every development either Condo or House & Lot are businesses and when there is business there is profit. 5. If your agent tell you then ask for the sample ROI (Return On Invest) and what is the Rate of Return per year. With this, it can help you determine if your agent knows what he/she is selling and your needs is his/her priority rather than his/her commission. Before I forget, it would be better to invest in real estate through your surplus money because if you loan in bank. Mortgage interest will be a part of cost to recover. Normally, real estate investments had an ROI of 10 years for it to be considered a sound investment. The transaction is buyer (client) + middleman (agent/broker) + seller (developer). Much of the conflict of interest will be on the middleman, kasi they are working for the developer. From the buyer (OFW) should exert more effort to do proper due diligence kahit ano pa ‘pogi’ points na sinasabi ng Ahente. Again this is not to discredit the Honest agents but to protect the buyers from the ‘Not So’ Honest agents. We have a good discussion in TGFI on Facebook, one of the comments there was that these kind of property should be treated like a business (I.e.as rental business). 2. Do your own research (words of the agent na this is a good investment is not research 🙂 ). Who is your target customer? How much are they really willing to rent your unit? Do you have competitors on the same building or nearby location? How many available vacant units are in the building? 3. What is your financial standing if the unit can’t be rent out in 1yr? In 2yrs? Or in 3 yrs after handover? 4. Is the property located in earthquake-proof area? Meron ba gas pipe that might cause leaking in the area? 5. Do you know how to compute ROI of your rental property? 6. If your yield is X%, is that acceptable to you as investor? Magandang information po itong pinost nyo sir. Sana bawa’t real estate agent mahingan ng ganitong sample analysis sa mga condo binebenta nila. Kapag hindi sila makapag produce eh red flag na siguro yun. Alam naman natin na malabo mangyari ito dahil ang agent/broker nirerepresent ang developer/seller. Dito nagsisimula ang mga problema ng mga financially illiterate (OFW) investors. Trained ang mga sales agents to paint the ideal investment para makapag benta. Hingan niyo ng ROI kung investment purpose ang gagawin. Sa mga balak mag-invest, huwag muna kayo magpadala sa mga “good investment decision” kung hindi po kayo marunong magcalculate ng ROI. Madali na makapagalam ngayon ng mga investment terminologies dahil may internet na. Knowledge is power ika nga and in this case the knowledge you gain before investing might save you tons of money in the future. Thanks for the honest blog … the first comments i read are from real estate agents and like all other profession they felt “hurt” or “insulted” by the blog that is why they were challenging you and your group in Singapore. If i were them i’ll accept those criticism as lessons learned coming from the other end – if and when they meet with prospect again they will know what to say = be honest! I too had experience being a first time real estate investor even though i don’t literally need a new house in a posh area. Though i didn’t have the same problem as you did with your condo i felt that i made a mistake four years down the line, now i am opting to sell the property and re-invest into something easier to maintain with good return until i reach my retirement. Like you i was working overseas also on a project and later did i realize that i have no use of the property and cash flow is always going out and nothing coming in … I also pay mortgage, insurance, association fees and others including the use of the swimming pool if i have guests and that kind of expense is something i didn’t have before i invested, i didn’t even have to pay rent and yet i entered into this kind of monthly responsibilities – what was i thinking?! Anyway, education is still key in investment, it’s good to seek advise and learn from others experience to be literate literally. I too worked in and out of the country and i’ve seen problems OFW often faces with their hard earn money. So aside from OFW learning to be financially literate, the families here in the Philippines should also learn so they will appreciate more and use wisely the money earned – hard earned by their love ones overseas. Boss, after reading your write up. Since im also based here in Singapore and im plannibg to go for my first investment also in the Philippines. I like to seek interest in the TGFI seminars you hold. What are the procedures to join such seminar? Where is it located and are there any corresponding fees? Hi Richard. Condo investment and real estate in general needs real though process on the part of buyer. However choosing the right Broker/Agent is as important as looking for the right property. As a licensed broker and investor for 7 years, I have had my struggles and regrets in terms of real estate investment but I gained much wisdom. Location, rate of appreciation, demand , usage, and outlook are some of the major factors that can give you positive cash flow in your investment which relatively entail careful and diligent research. That being said, a broker or agent must be the “REPRESENTATIVE” of the buyer – acting in and /or on behalf of the buyer , it is as if the broker is buying it for himself/herself . At the end of the day the ultimate goal of the broker is make the buyer happy and satisfied. 1. Is it a need? I bought 2 condos here in Davao. One here near City Hall , BIR, Registry of Deeds, etc. primarily because of my career as a broker and it saves me a lot of time, money and fuel . The other condo that I got was at pre-selling sale / Introductory price. Never get a condo that has already achieved its maturity price ( ceiling price ) unless otherwise your reason is item no 1 ( need ). Secondly it is just walking distant to Ateneo de Davao which I’m planning to send my son in college 6 years from now so it will again save me money and save him time from travelling. After his college, I will sell the condo at a premium price ( Fair market value at by that time is projected to be at 150-200% from the original price given the current economic boom here in Davao). 3. Ask the agent/broker, what are the advantages and disadvantages? Be mindful of the possible benefits and especially the risks. 5. Will it generate positive Cash flow ? Invest on something that will generate you positive income. Eg. If your bank ammortization is higher that your projected net rental fee, then don’t but it. 6. As the saying goes ” Don’t put all the eggs in one basket”. You can invest in a myriad of ways – be it in real estate, stocks, bonds, etc. How can i contact TGFI to join? Richard, thanks for this very informative article ” Buying a Condo in Philippines. And to the Real Estate Agents, there is no negativity in this article but rather informative!!!. I am a former Real Estate Agent, and I make sure my clients are well informed on what to expect especially when it comes to money. I rely greatly on my former clients for referrals…. That’s the name of the game where I am. Me and my wife are both OFW. im an electronics engr and my wife is a nurse. We re from Middle East. We first invested last 2009 in Real estate, Condo. and after a year, our sales agent advised us to refer our friends as prospect clients. and that how history started. now, for more than 5 years in real estate. Im proud to say that we own 3 condos already and we’re planning to add more in coming years. and my wife is a full time real estate agent now for 3 years. as an OFW, here’s my advised to all future investor out there. 1. real estate is still the best investment so far. the market value keeps on increasing on yearly basis. it is a tangible asset. whatever happens in the market. you have a tangible asset. liquidity is high in terms of rentals. and with current Philippines economic status. today is the right time to invest. 2. choose a real estate company that has a proven track records of delivering what they had promised to their clients. in my case, they delivered my condo ahead of time. more than what I expected. no hustle. to all agents and future agents out there. 1. just be truthful in dealing with clients. be ethical with your chosen profession. and build trust with your clients. till date, we are friends with our clients. and they are so happy that they met us once in their life. they are very happy to see us in project buildings cause they are our neighbors too. its totally different feeling when someone will say Thank You to you for helping them decide to for an investment. and we have a lot of repeat buyers. it is a good thing that you are sharing what you have experienced with your condo unit. Like you , I invested on a condo infront of a University and the turn over date is 2016.
may I know the process you did when you rented out the condo. Ex. what type of contract did you draw for tenants to sign? how many months advance should be collected . and how do we go about with the receipt. I am hoping that you can email me so I can ask further. hi rose… sure, i can share you those details. i’ll send you email…. Be safe deal only with duly licensed real estate brokers…lesson number 1. Buy from reputable developers only..lesson no 2. Pay in cash to get massive discounts and maximize price appreciation. If unable, get payments terms with zero or minimal interest…lesson no 3. In investing there will always be risks, walang garantisado, kahit mag franchise ka pa ng pinaka sikat ng fastfood resto sa pinas at maglabas ng 20-30million, wala paring kasiguraduhan yan…aralin ng mabuti alamin ang ins and outs kung saan ka maglalagay ng pera mo, magtanong at mag compare ka. At pinaka importante sa lahat wag maging negatibo, pag pinagaralan mo na ng maigi yan at sa tingin mo ok naman, go for it! Sure problems will arise but concentrate on the solutions. it all depends sa usapan nyo ng developer kng babayaran na ba agad. pero usually, once na turnover or nabayaran mo na yong downpayment, dyan ka na dapat kumuha ng loan to shoulder the rest of the amount…. Hi sir tanong ko lang after maturn-over ng unit and tapos na sa dp nabigay na din ung titulo, kelangan umutang sa bangko para mabayaran ung natitira, para makautang ang gagawin collateral is ung titulo ng condo tapos kelangan ng magbayad ng amortization every month. What if in the long run may mga ng mangyari di mo inaasahan then di mo na kaya bayaran ung amortization sa bangko anu po mangyayari sa condo? Tnx in advance! possible po maremata ng bank yong condon nyo. kse nasa kanila na yong titulo 🙂 in the event of death naman, may insurance yon kaya fully paid ang utang mo. mapupunta sa beneficiary yong condo, after the estate tax settlement. Mga sir nabasa ko po ang hinaning ninyo at mukhang hindi ipinaliwanag ng maayos sa agent nyo po yung lahat na dapat bayaran after your unit will be turn over. Payo ko lang po sa mga gustong pumasok sa larangan ng real estate investment ay alamin muna lahat ng mga dapat bayaran upon turn over at yung pag process sa bank loan dapat si agent or yung account manager ang mag assist sa inyo. Ragarding naman sa property nyo po ay pwede din ang agent ang mag assist at mag hanap ng uupa sa inyo as part of his/her after sales service, at tulungan kayo sa lahat ng proseso at follow ups. Yung agent ninyo po siguro after ma close ang deal at naibigay nyo na ang payment lahat lahat ng documents nag exit na sya sa kanyang responsibilidad na tulungan kayo hangang sa kayoy makalipat na pag ka turn over at ma enjoy ninyo ang investment na ipinundar at pinaghirapan sa pagtatrabaho sa ibang bansa. Yan ang tunay na dapat bigyang pansin ng mga ahente di lang puro closed deal lang ang alam dapat as agent may malasakit ka sa kababayan ninyo. hi, i’m inhouse sales agent of a low rise condo..bilang isang inhouse agent sinasabi ko lahat sa buyer ko kung ano ano ang kailngan nilang byaran ng wlan tinatago para sa huli hindi magka problema.. para sa location naman ito ay napaka importante….. kahit na sabihin mong malapit ka sa universities ang tanong duon anong klaseng mga studyante kaya ang mga nag aaral dito kaya kaya nilang mag rent or bumili ng condo? kagaya ng binibenta ko malapit sa isang university na ang mga studyante ang nag aaral ng medicine, bilang isang medicine student priority nila ang katahimikan ng isang lugar at kung maari less stress.. kung kaya’t sila ay bumibili na lamang o nag rerent ng condo na malapit sa school nila at less stress dahil di mo na kaylangan mag byahe ng malayo.. kaya maraming nag iinvest sa condo na binibenta ko… sa case naman na sa pag paparenta pinapakita namin lahat ng for rent para fair.. pero tama advice ni blogger think before you commit. Bumili kami ng condo ng aswa ko. Pinabayaan kami ng agent na kausap ko. Ako na lahat ngaasikaso ng bank financing etc. na dapat my assistant ng agent. Wla akong updates na narereceive sa kanya. sorry to hear your story. that really happens…. You can contact me for bank financing in philipines @ +63 927 895 5629 or my land line 02 509 2863 I am also connected at Robinsons Communities which offers affordable terms condominium unit in Makati, BGC, Mandaluyong, Pasig & Quezon City. Just sharing po my experience sa pagbili ng condo. OFW din po ako dito sa SG. Preselling po yung binili ko na studio unit. Tama po kayo sir, always consider kung anu yung tamang investment na fit satin. Kaya before I decided to buy my unit, I prayed a lot and research din . My agent is also my very good friend so he was very transparent sa lahat ng fees. I was at first thinking to buy bigger unit but he encouraged me to buy yung kaya ko daw bayaran yung amortization even to the point na mawalan ako ng work dito sa sg. That’s why I ended up buying studio unit. Also remember that condos of popular developers are way way higher. I got my studio unit at Php1.1M of 21sqm. (excluding other charges) from CDC last 2013. Ngayon is Php1.3M na value niya at turn over na din. Although 1yr late sila as promised. Another thing to consider is if the developer allowed you to loan it to pag ibig. Which is a very good choice. Lowest interest kasi kapag long term loans. There was s good thing naman na delayed sila. I was continously paying my monthly projected amortization sa pag ibig through their in house financing before my loan in pag ibig was approved. so to my surprised, during turn over, halos wala na ako binayaran na other charges dahil tuloy tuloy ako nag huhulog ant nacover na lahat ng other fees ko. So ngayon tenants nalang ang problema ko. Also make sure that merong retun yung investment mo. Like yung monthly amortization should be lower sa monthly rental ng unit mo. Kaya in all investment, be sensitive kung para sayo. For me, prayer is the best guide. God will direct you. He will give you wisdom and peace if para talaga sayo. I manage bookings for condo units in Philippines, as I am also a unit owner. Maybe i can forward some guests to you if need mo po tenants. I can help you! Just pm me for any concerns. I have also unit for rent at The Pearl Place Ortigas Central Business District and Newport City infront of NAIA-3. Hi everyone, i agree that there are hidden charges when buying condo units.. If you are first time buyer maiinis ka talaga. Buying a condo has different lifestyle, we are paying to the developer instead of paying to a private contractor when we are building our own property. When you build a house sometimes we get get bad deal with contractors and builders. When you buy a condo, sometimes you get the best salestalk from a sales agent….. Hmmmm… sounds funny but i know you do agree…. My son kinikilig pag nilalapitan ng good looking agent.. Sabi nya mami 20k lang daw monthly.. for two years… Haha.. Sabi ko, saba raw diha, after two years, unsa man..
All I can say is, it is still good investment to buy condos as long as you know that hindi ka lang bibili dahil na salestalk ka. And it is also safe if you dont get too much loan. If you think you can strech your budget to get a unit, I think it is very passive investment. After all the hassle of paying up to two years and few months including the hidden charges, you earn more than putting that money in the bank. If you have 3m in the bank you are lucky to get 5k monthly interest. If your condo is worth 2.5m your rental monthly is at least net 15k. And if you want to sell your unit, at least you get most of your money back. Yon nga lang.. It is very important to see the location yourself before buying.. you then feel the vibes.. Deceiving kasi minsan ang leaflets .. kaya lang ofw ka nga kasi… ang kulit ko ano..
Hi Sir, just want to ask po if pwede ko po bang makuha contact details ng agent nyo? Kumuha din po kasi ako ng unit at matagal ang response ng leasing management. Naghahanap po kasi ako ng reliable agent para tumingin sa unit ko. Sana po makatulong kayo.Salamat po. I am also an OFW. We recently bought a studio type condo in Manila, along Espana to be more specific. Malapit din sa school ng mga college na anak ko. Nag lease muna kami for one year to assess the location. Safe naman yung place and convenient. Sa Rizal kasi ang bahay namin so minimum of 2 hours ang travel time one way. Kung makakasakay ka agad; but waiting time sa sasakyan ay minimum 30 min pa.
We opted to buy a new RFO unit sa same place, building 2 nga lang. So di na kami nag renew ng lease namin. 12,000 pesos per month ang lease namin inclusive of assoc due. We need a condo unit in this place for at least 4 years so when I bought our own unit ay nakatipid na kami ng 12k (48 months) = 576,000 pesos. Ang contract price ng condo unit namin ay 2.1 M plus another 100k plus sa other cost (water & meter, transfer title, tax, etc..) so 2.2 M lahat. less yung savings namin sa lease for 4 years ay around 1.6 plus lang lumalabas ang total cost ng unit namin. 20% D/P payable in 22 months then balance na 80% ay cash after 22 months. So yung balance na 1.7 M ay puede ko bayaran immediately but my 1.7 M now will cost less after 22 months due to inflation rate tapos puede pa kumita yung 1.7 M ko sa bangko through interest. Although pricey sya but at the end of the day ay mura pa rin ang investment namin dahil sa 4 years savings sa lease plus interest ng 1.7 M sa bank. We asked assistance from our personal friend na nasa real estate kaya all those fine prints and other expenses ay sinabi na nya sa amin sa simula pa lang. Thus, I am now in the process of asking how much will be the rebate if I will pay my balance within the year. If the rebate will be higher than sa inflation rate plus bank interest then I am gonna pay it cash otherwise after 22 months na lang. The unit is also an investment para sa retirement. As an OFW, wala kaming job security. So puede ko pa lease ang unit ko pag tapos na lahat ng kids ko sa college. Competitive price will give you an edge sa ibang unit na nagpapalease since nasa prime location ka na. Although it will take you longer time para sa ROI, what is important ay you have some amounts coming pag retired ka na. I am now in the process of savings para sa pre-selling condo unit near MOA. dito, you can take advantage sa VAT. Just imagine VAT is 12%. Sa pre-selling, mura pa yung unit kaya wala pa syang VAT dahil di pa sya umabot sa level ng Vatable contract price. Pag RFO na unit ay automatic price increase then once ma reach mo yung Vatable contract price ay puede mona benta or transfer unit mo. Of course, 20% D/P din arrangement; so yun lang lumabas na pera sayo then yung buyer na looking for RFO ay transfer na sa kanya yung 80% balance. I can feel the frustrations as I have experienced the same if not the worse than you. I would just like to add to not fully trust what the agents says or promised to you. I learned that not all agents are aligned with the property management of the building. For example, the initial requirement we asked our agent was for the building/unit to be pet-friendly. She imeediately assured that it is. Then after we paid the downpayment to move in, we were informed by the property management that pets are not allowed at all. Example #2, when our agent showed us the payment computation table, it was indicated that it has a garden and not tiled balcony. So we were expecting to see grass when we checked the unit (that is after paying the downpayment). Again, the property management informed us that there is no grass option for balcony in all units on the ground floor. And thus another frustration. Upon moving in, the management confirmed that all lines are ready, including telephone/internet lines. So we scheduled a transfer of internet connection on a weekend. Only to find out that the lines were not yet ready until after 15 more days. So we had to cancel the transfer and apologize to the technician. And a lot more frustrating situations that I really wanted to just get all our money back and find a different condo. We could have sued the agent and the developer for these but thought about the additional hassle it would cost us since I’m an OFW and my wife is working full time. My additional advice would be to go and check with the property management themselves if what your agent tells you is aligned with them. Sometimes, they will things and will not update their marketing teams of it. So better get a face-to-face confirmation from the property management. There will even be an insteance wherein they will not allow you to see the actual unit until you paid the downpayment, saying excuses that the unit is still not ready and such. Even the promise date of moving in gets delayed, all the time. This is a perfect example of an agent who only thinks of getting her commission. As in, after experiencing all these frustrations, she only apologized and didn’t even bother rectifying her mistakes. Now, my wife has to go back to our house far away from her office every other day just to feed our dog whcihc we couldn’t bring with us to the condo. If there really any way we can refund our payments, please do tell me. Buti na lang nagbasa po ako kasi di na disclose sa agent din na ganyan kalaki hung additional payment aside sa regular maintainance etc and di ko na tinuloy magpa reserve ng condo after reading this. Mahirap talaga umasa sa mga agent kahit na sabihin nila you are being negative and hindi naman ganun kasama sya in reality.
. Anyway dahil dito mas magiging mabusisi na ako lalo na pag in time na pipirma na ako ng contract. Siguro maghahire na rin ako ng lawyer before signing bahala mahal pa yun and additional payment pra ma expain niya in simple terms yung pipirmahan kong contrata.